Welcome to Dr. Black Plastic and Cosmetic Surgery. We serve patients of all ages in Metairie and the Greater New Orleans, LA area. Our talented doctors and our amazing staff members are here to ensure you’re putting your best face forward. Our board-certified plastic and reconstructive surgeons, Dr. Elliott Black, III and Dr. Summer Black, offer patients the ultimate in safety, comfort, privacy, and personalized care in our new state-of-the-art facility where we hold consultation appointments and perform minor procedures and aesthetic treatments. Each doctor has an individual practice, but we pride ourselves on working together as a whole office for the best results for our patients. Having both a male and female doctor at Dr. Black Plastic and Cosmetic Surgery is beneficial to all our patients. We are focused on open, honest communication so that we can understand your goals and motivations in an effort to give you the best possible outcome. 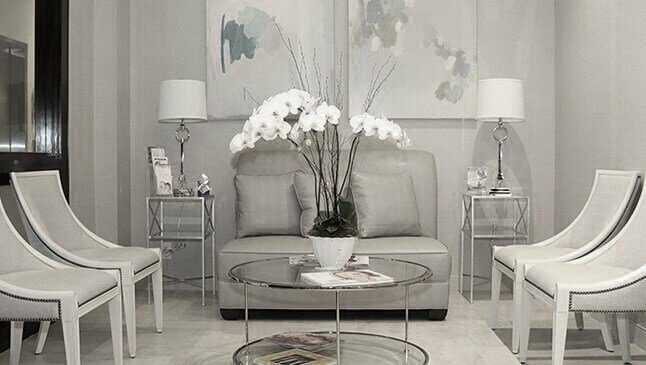 We aim to establish trust and confidence with each and every patient, and are always available to answer questions to keep you informed throughout your consultation, during and after any treatments or procedures. In addition to the many cosmetic surgical procedures we do, we also offer a large array of nonsurgical procedures such as BOTOX®, dermal fillers, SculpSure™ noninvasive fat melting, and a multitude of other laser treatments for hair removal, vein removal, large pores, improved skin texture, dark sun spots, and fine lines. These nonsurgical procedures allow patients to enjoy a more youthful appearance, and an improved lifestyle without the downtime or scarring of traditional procedures. I've been a patient of Dr Summer Blacks for about 4 years and I would never go anywhere else. I am ALWAYS ecstatic with her work and have had Botox and Restylane filler in my cheeks and lips. Dr Black is not only a total perfectionist but she becomes a friend you feel comfortable confiding in and sharing your life with. I would recommend Dr Black to my own mother....and in fact I did! Now we are both her patients who regularly visit her for all our anti-aging facial perfecting cosmetic work. Dr. Summer Black has provided me the highest level of care during any and all procedures. Summer is honest and candid giving her patients knowledge and guidance. She is there for you whenever you may a question or concern. She is an excellent surgeon and cosmetic doctor. I have recommended Dr. Summer Black to my family and friends, and they absolutely love her. The staff is friendly and provides the privacy you may be looking for. I have even had appointments with Dr. Elliot Black and he is equally excellent, of course he is ! I was very pleased with the reconstructive breast implant surgery performed by Dr. Elliott Black over 25 years ago. Now at 51 years of age, 26 years later, I returned to him for an upper /lower eyelid surgery and C-scar revision. I could not be more satisfied and happy with the results! Drs. Summer Black and Elliott Black were no less than awesome in making me feel I was in the best of hands. They both have amazing bedside manners at each and every visit, as well as their staff at the office and the surgical center. I would highly recommend them both to my closest of friends, and I have! Becoming a board-certified plastic surgeon requires many additional years of hospital-based surgical training. Drs. Elliott and Summer Black manage a wide variety of problems relating to the face and body. They practice a full scope of plastic surgery with exceptional skills in cosmetic surgery of the face and body. We have selected our staff with particular concern for efficiency and a warm, dedicated attitude. Please feel free to approach anyone on the staff if you have questions or concerns. Welcome to Dr. Black Plastic and Cosmetic Surgery! Beauty. Balance. Proportion. You will find all of these attributes evident in the before and after photos of our former patients. Located in beautiful Metairie, LA, our services are accessible for patients from Houma, LA and the Greater New Orleans, LA area. Many innovative aspects of our practice in Metairie, LA set us apart as one of the world's most comprehensive surgery centers. At Dr. Black Plastic and Cosmetic Surgery, our doctors are focused on making you comfortable in your own skin. Explore our services.